OMGAAAAAAAAWH!! Do you see the gorgeousness of this?!?! When I saw this pic on the Instagram page of @iameden_, my eyes bulged out of my head and my jaw dropped. When I saw that it was a three strand twist out, I had to immediately search for a video tutorial!! I found this great one on YouTube where yarn in three different colors is used to provide a strong visual of the technique. Embedding is disabled. So, to view the video, click here. 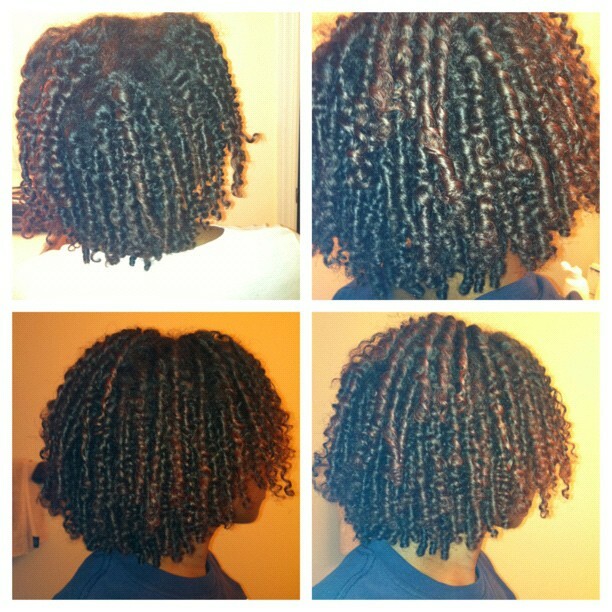 And for those of you thinking, “That would never work on my texture,” check out the results that knotty_girl achieved with a three strand twist-out on 3c (?) hair! Yeah, think I’m gonna have to give the three strand twist a whirl soon!! 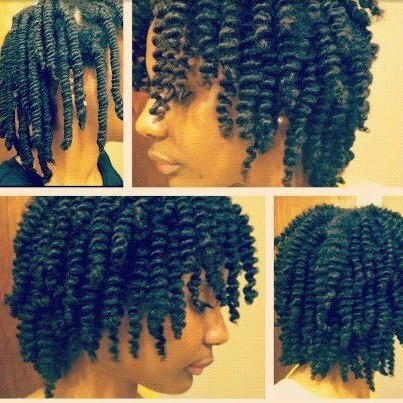 Have you ever done 3 strand twists and/or a 3 strand twist-out? How did it work out for you? Any tricks of the trade to share?!?! Products, timing (wet, damp, dry? ), technique? oooooweeee !!!!!!!!!!! i can’t wait to try this!!!!!! So far the only technique to work for me has been Naptural85’s twist-out 101 tutorial using a flat-twist to achieve awesome curl definition. I will definitely give this a go. Thank you for sharing! thanks for sharing i’d never heard of such a thing! ooohhhh…I have to try this!!! That looks so awesome! I can’t wait to try this. I’ve needed a “whimsical” looking curl to match with some cosplay concepts. This style might be FTW! I’ve done 3 strand twists outs before and I really liked the outcome, but then I discovered wash and gos this summer and haven’t done any twists/twist-outs since June. I read your post about braid-outs using satin scarves and thought to myself that I should try a 3 strand twist using scarves to see how that would turn out. Even I can attest to success with the three strand twist! #shutyomouth It’s true! However, I can only get one day hair without retwisting. And if I retwist, it just gets looser and looser and by the third day, it’s a wrap. I think it would last longer if I could pineapple, but since I cannot, I have to improvise. It is super easy once you get the hang of it. When I first did it, I had to look in the mirror and speak out loud, but now it’s a piece of cake! Ok now to check out the tutorial. i’ve never actually seen this done! Here is the video I used – sobeautiful82’s technique is really great and I learned it very easily. Ok, watched the vid a couple of times and now I finally have it. Thx Truth! I have yet to get the technique correct.